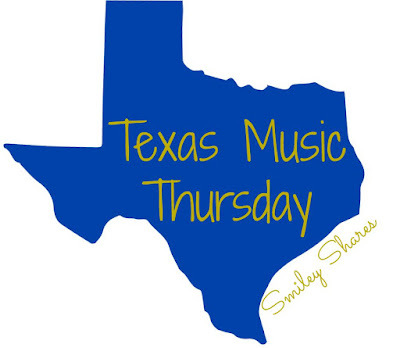 Alright, Alright, Alright- it is Texas Music Thursday and it is only my favorite day of the week. And although I am not feeling the best today.I always enjoy sharing with y'all some of my favorite artists. Teaching you a little about them while learning myself. Hopefully yall have already added a couple of songs to your playlists. 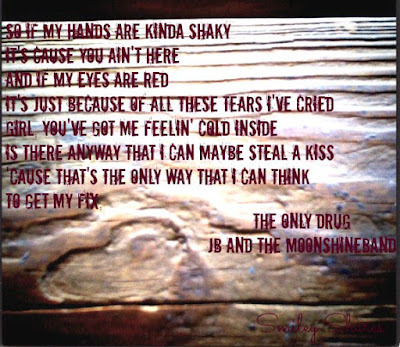 This weeks Texas Music Thursday will be dedicated to JB and the Moonshine Band. The band was formed a couple of years ago in Tyler, Tx home of JB Patterson leading man of the band. According to their website the story of how or why the band started is a bit iffy. The thing is that it comes down to this. JB Patterson decided to go for his dreams in order to be able to set an example for his son, of being able to do whatever it is you dream of. Also sometimes when you are looking for band members and you only get a couple of people to audition, that's a sign that they are the perfect ones! -He only had 3 individuals show up to audition.Being able to go for your dreams is something I admire. Sometimes we get scared of failing, disappointing and even succeeding and we hold back, but what is so hard about trying to accomplish a dream? Well, within just a few years of their career they have already succeeded in several ways. They have been able to produce three great albums. This has given them the ability to tour through the country. It can be difficult for bands to have much success this early in their career but once it is probably thanks to their friendship and that the audience can sense that. The lyrics in their songs are creative and expand from witty country sounding songs with an attitude to their heartfelt songs about love. Most importantly through the songwriting they have managed to stay true to their roots and style. Hopefully they keep this in mind as their growing success continues. JB and the Moonshine Band will be coming to the RGV area first weekend of October during the RGV Beer Fest. If you arent sure if the band will be worth your time I have this playlist to help you decide. As always just a reminder to visit the artist website to check out any future dates. Let me know what you think of their songs? Have you ever gone after something you always wanted to do? If yes, how did that work out? If not, what is it that is holding you back? It's not my fave type of music but not bad. As long as you can give it a shot that is all that count ;) Thanks for stopping by! Love listening to new music! I commute AND run a lot - so I get tired of my music real fast. Going to give them a follow on Spotify! This type of music not very known in my country but it sounds good and I like the voice of the singer. Thanks for sharing. You're welcome I always love sharing music I like. If you ever have suggestions of new music let me know!